Driving through Portland to go visit 2 beer gardens, I could see why everyone loves it there. The water, the bridges, the hills! Everywhere feels like a homey neighborhood or a non-scary back alley. Totally relaxed and pleasant. After Portland, I finally got the chance to go in the deep corner of Northwest USA: Bellingham, Washington. There I met up with my cousin Dude. Dude gave me an awesome tour of this overlooked city. It has everything! Mountains, rivers, lakes, ocean and forests. 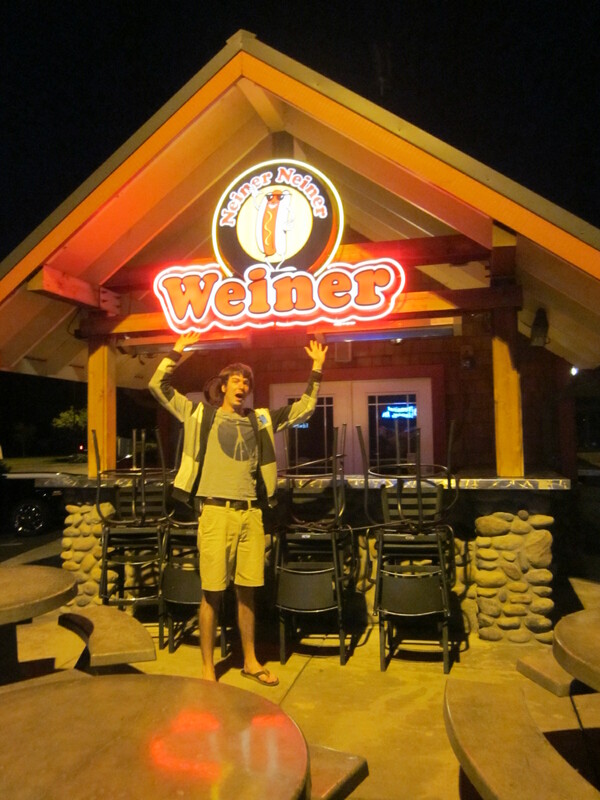 Most important though, they have a Neiner Neiner Weiner restaurant! We also hit up Boundary Bay Brewery. 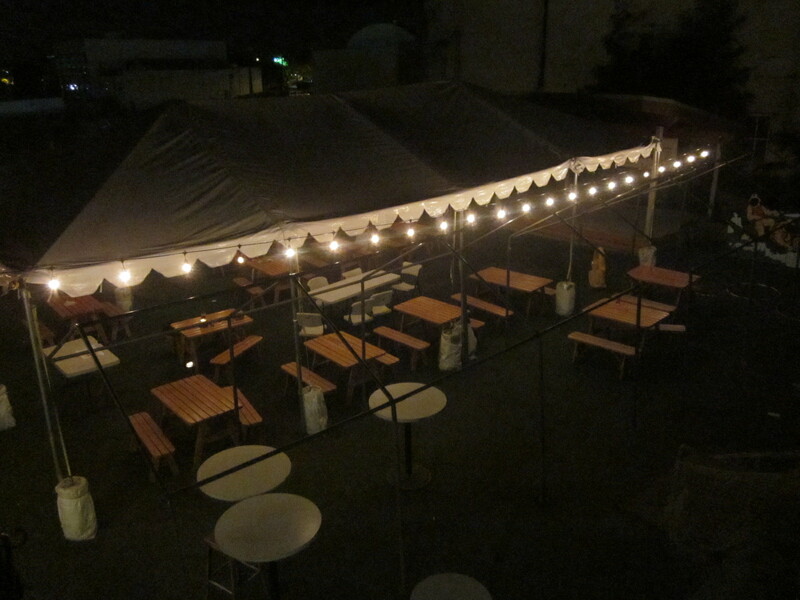 It was late, but we snuck into the closed beer garden area, and it looked really cool! I only briefly swept through Portland and Bellingham, but I left thoroughly impressed and thankful to the Dude.